Ideal for large homes or light commercial settings. 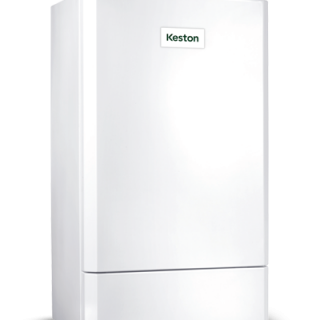 Supported by a 5 year parts and labour warranty† and Free Commissioning†, Keston Heat is a reliable and efficient wall hung solution. The quality of this product range has been developed through meticulous design, careful component selection and proving; leading to reliability and longevity. 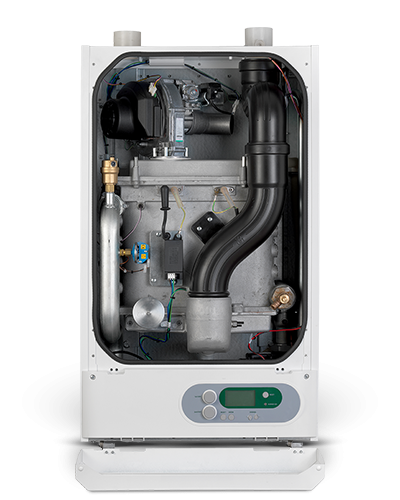 The range provides high efficiencies for low running costs with up to 110% part load, seasonal efficiency (ref Building Regs Part L2) up to 97%. The range also provides low NOx emissions at Class 5 and at less than 40mg/kWh achieves maximum points under BREEAM schemes. 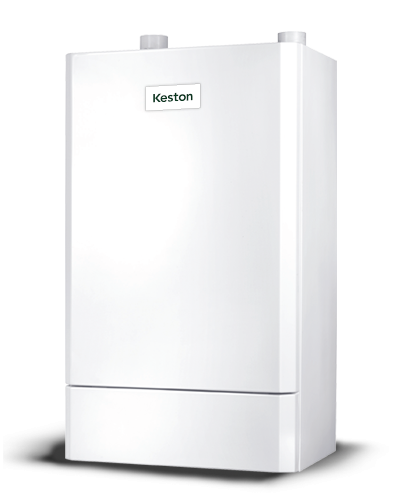 Keston Heat provides the perfect solution for a wide variety of commercial installations. 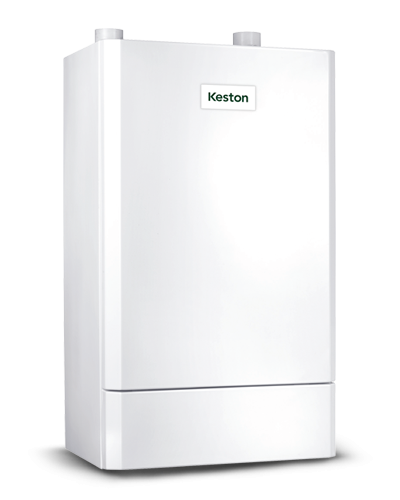 The Keston Heat range of boilers are easy to cascade using our frame and header kits, where outputs of up to 330kW are possible. 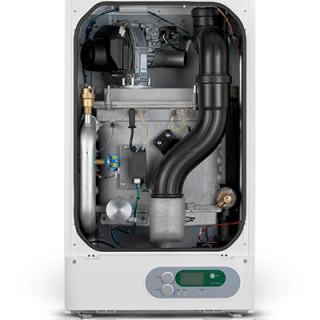 * For maximum total equivalent flue length please refer to the installation instructions for full details. 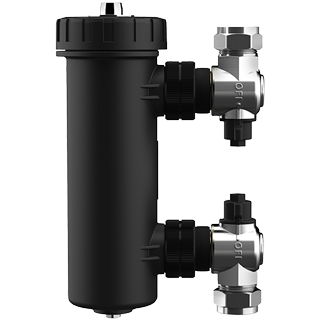 ** The only systems approved for this application are: Marley muPVC (PVC-C) Solvent Weld Waste System (50mm), Polypipe System 2000 muPVC (PVC-C) Solvent Weld Waste System (50mm), Polypipe Terrain Solvent Weld System (50mm) and Wavin Osma PVC-C Solvent Weld System (50mm). Please use the recommended Solvent Weld Cement for each system. † 2 year parts & labour warranty as standard. 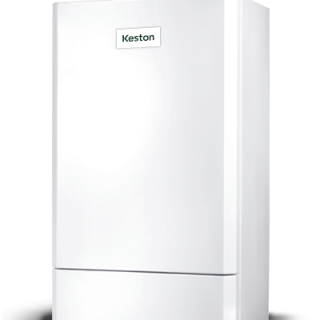 5 year warranty available subject to being commissioned by Keston Boilers. 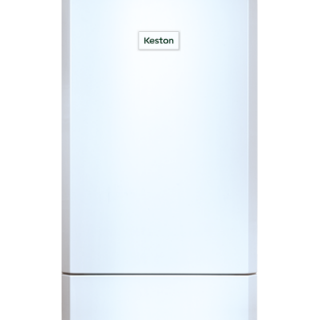 Free Commissioning only available when a Keston 28mm System Filter is installed with a single Keston Heat boiler; not available on multiple boiler installations. Terms and conditions apply; click here to read them. Boiler images are for illustrative purposes only. 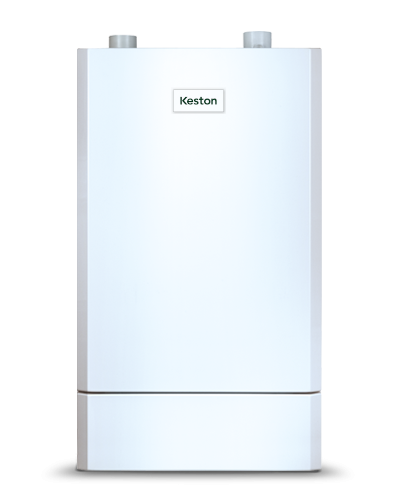 The Keston 28mm System Filter is a magnetic filter for use with Keston Heat boilers. The compact forged brass design is easy to install and fits on horizontal or vertical pipework in both flow directions. 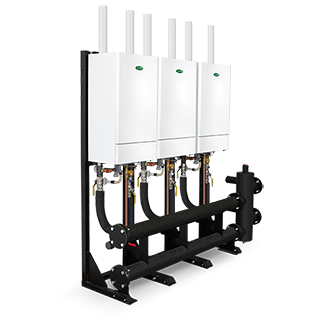 Keston Heat Frame and Header Kits are suitable for modular (cascade) boiler installations up to a maximum output of 330 kW.